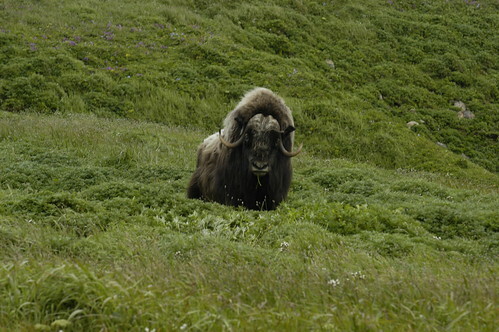 This is the muskox that Tom discovered laying on his back. He thought it was dead. He got a bit too close and the Bull shook his head at Tom and tore up the ground with his horns. Then he passively walked away.